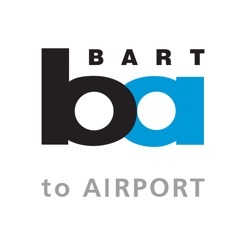 The official BART mobile ticketing app for discounted group travel to/from the airport! The BART to Airport app lets you purchase and use fares for groups of two or more riders instantly on your phone—anywhere, anytime. Just download the free app, register your debit/credit card or PayPal account in our secure system, and you're ready to go. A: Cellular network or a wireless Internet connection is required to purchase tickets, but you can use your activated tickets offline. A: Just like with paper tickets, you're responsible for making sure you have a valid fare at all times, so be sure to plan ahead! - Either your origin or destination station must be Oakland International Airport or San Francisco International Airport. - Only activate your ticket when you are ready to ride BART. - Show your ticket to the station agent to enter/exit station. If no agent present, activate ticket and enter through any passable gate. Some gates swing out. - Tickets are for groups of two or more. Your entire group must travel together. - Watch your battery level! Just like with paper tickets, you're responsible for making sure you have a valid fare at all times. This app works just fine folks!...It is pretty easy. 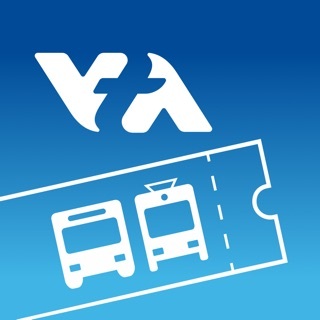 Use this app ONLY to go to and from the airport. You and your traveling party get a 25%-28% discount each, using just ONE phone. After you set up an account and purchase your ticket, press on it to activate the barcode, and show the barcode to the Bart station attendant in the booth. They will let you and your traveling party through. The barcode does NOT work on the clipper card readers at the fare gate. We had zero issues. However, the current screen interface is designed very poorly, so it’s not really obvious how to click on your purchased ticket to activate it to display the barcode. They need to improve on that 10 fold in their next version. But again, it worked for us and it was an easy way to get a 25%-28% discount for each traveling passenger. I was able to buy and mark used without any instructions. You will have to show the ticket that has been marked used (valid for 3 h) to an agent at the gate, since the gates don’t read these yet. Altogether works as expected. The BART to Airport app does not work. It will allow you to ser up an account, buy your tickets, pay by card, but then the tickets will not show on your account. And it gets worse. To see your valid tickets, you must log into their website, where you can confirm that you have valid tickets, but still you won’t able to use them. They will not refund you, even when you have valid, unused tickets. This app is a fraud.